I estimate that 75% of direct sales are just that. Direct sales with no after sales service. At Sinclairs Fitness we service what we sell and even service what we don’t sell at the cheapest hourly rate going. Contact us for any service enquiries. Don’t be one of those 75%. 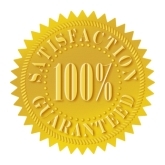 Our famous guarantee will allow you to purchase from us, at low, low prices with 100% confidence in our next day delivery and after-sales service. No fuss, no bother. The money you save is far better in your pocket than someone else’s – buy from us with 100% confidence! Test our service over your 3 month hire period and if you decide to purchase the entire hire fee (less GST) is deducted from the purchase price! * The entire hire fee (less GST) is deducted from the purchase price should you decide to buy! Don’t be locked into long term deals – hire today from Sinclairs Fitness! If you have any questions please don’t hesitate to call the team on 03 6234 1244 or email us at admin@sinclairsfitness.com.au.